For Seachtain na Gaeilge, Seán Ó’Cualáin has made his film ‘Mar a Cheile Muid?’ about the Gaeltacht civil rights movement of the 1970’s and its impact then and now available to watch online. The film is on the surface about the 40th anniversary of the 1974 Oireachtas in Cois Fharraige, the first one outside of the capital and a significant victory for the movement but its also about the challenges facing the Gaeltacht regions today. I think it’s a significant film about part of our shared cultural history and its one that I’m incredible proud and honoured to have been part of. I hope people enjoy it and that it sparks debate. There is an opportunity to catch my brother Paul’s short film ‘The Weather Report’ tonight on RTE2 at 11:30. The film has had a great run on the festival circuit appearing at over 50 festivals at home and abroad. Paul picked up a few awards at the Limerick Film Festival and Boston Irish Film Festival. You can follow the film on Facebook and see the full list of festivals it has appeared at there. Arkle wins at the IFTA’S!!! On Thursday last, the Arkle documentary I cut won the IFTA for Best Sports at what was a lovely evening in the Burlington (It will always be the Burlo to me). It was such a good day that its taken me this long to write about it! I was absolutely thrilled for Arkle director Luke McManus and Stephen and Denis from Touchline Media who produced the film. Despite coming from a place a few years ago where Luke, by his own admission, knew damn all about horses, he has now directed several superb horse related documentaries. A few years back he was IFTA nominated for Jump Boys which showed the harsh realities of being a top level jump jockey and then last year he made a 4 part series on the Galway races. In between these two was Arkle: The Legend Lives On which was made for TG4 and Channel 4 and as you might imagine told the story of Irelands legendary wonder-horse Arkle. The documentary has achieved a Bill Nicholson like double, winning the Celtic Media Award and now the IFTA and all done with a certain panache! For me personally, this marked the third year in a row that I’ve cut the winner in the Best Sport’s Documentary IFTA category. I’m not entirely sure how that happened but I’m obviously thrilled with it. 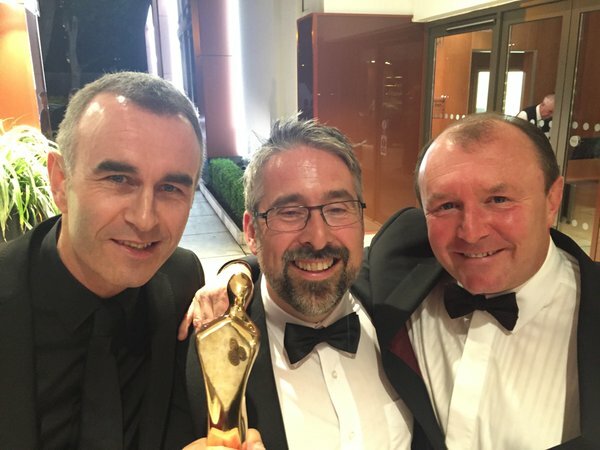 The IFTA’s themselves were a great laugh and it was great to catch up with so many friends and I was delighted on the night that my buddies Mark Henry, Mick Mahon, Colm Bairéad, Cleona Ni Chrualaoi, James Ryan, Tracy O’Hanlon, Gemma O’Shaughnessy all got their hands on an IFTA. It was also pretty cool that I got to go to the show with my brother, even if he and his boys did end up on the receiving end of a paddling from Arkle. I was delighted this morning to see that 2 shows I edited were among the Nominees for the IFTA Television awards to be held in Dublin in 3 weeks time. Unfortunately both Arkle: The Legend Lives On and GAA USA are up against each other in the sports category. To further complicate the matter my brother and my office mates the Second Captains also received a nomination in the same category. So its safe to say I have some divided loyalties. One way or another as long as the Conor McGregor documentary doesn’t win I’ll be happy! Arkle: The Legend Lives On was a Touchline Media production for Channel 4 and TG4. The film was a look back at the legendary race horse Arkle. The documentary was wonderfully directed by Luke McManus and produced by Denis Kirwin and Stephen Cullinane. I had a terrific time editing the doc with Luke over 4 frantic weeks last year in Highwire. The film already won the Best Sports Award at the Celtic Media Festival earlier this year and I’m sure you could get could good odds on Luke taking home another trophy in a few weeks. Personally I also really enjoyed writing about it here and calling the post ‘Blogging a Dead Horse’ which was a punning highlight of this blogs output. GAA USA was produced by Sonta Films for TG4 and aired earlier this year. The series looks at the oft forgotten history of Gaelic Games in the United States and is presented by All-Ireland winning captain Dara Ó Cinnéide. The series was directed by Seán Ó Cualáín and produced by his brother Eamonn, Raemonn Mac Donnacha shot it and Darragh Dukes did the music. I spent the best part of last winter working on the series and I’m incredibly proud of it. This series marked my fourth time working with Seán (we are currently on number five) and its proved to be a really fruitful collaboration. 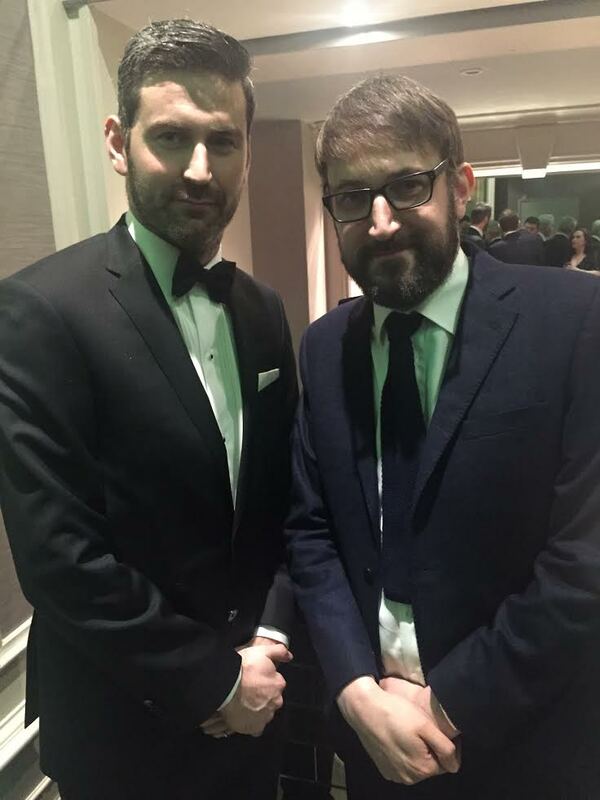 An Godfather:Bryan Rooney, Rás Tailteann:Rothaí an tSaoil and Mar A Cheile Muid are all very diverse films that I’m thrilled to have played a part in. These films added with Seán’s previous work I think position him as one of the premier chroniclers of both rural Irish life and the Irish immigrant experience and he’ll kill me for saying it but I think he may well be this generations Bob Quinn. Like I said complicating the matter is that the boys in Second Captains have been nominated for Second Captains Live. The live sports show is quite frankly outrageous in its ability to not only set new standards in sports broadcasting but maintain them too. I think this clip of them interviewing Ciaran McDonald exemplifies pretty well the work they do. The show also features a weekly opportunity for my brother Ciaran to demean himself and his journalism degree by dressing up in humiliating costumes. Whats not to love about that? I share an office with the boys and I can safely say that they along with Aideen, Karen, Rebecca, Pat and Collie are the hardest working motherfuckers in the business and if they do end up taking home the gong it’ll be richly deserved. They also, as I’m frequently and embarrassingly reminded, play a mean game of table tennis.